If you are looking for information about a Zeeland business, you have come to the right place. The items listed under "Contents of file" are only samples of what might be found in our collection. See "Zeelander" for more information. Note: This index includes, but is not limited to, the businesses listed below. We will be adding more information periodically, so visit us often. 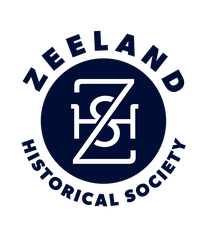 The Business Histories listed below are located at the Zeeland Museum.